With the White Sands International Film Festival starting this week, don’t miss any of the coverage of the great films, workshops, activities and more. Visit here often for updates and reviews this entire week as thefocusedfilmographer.com is the official blog for coverage of WSIFF. 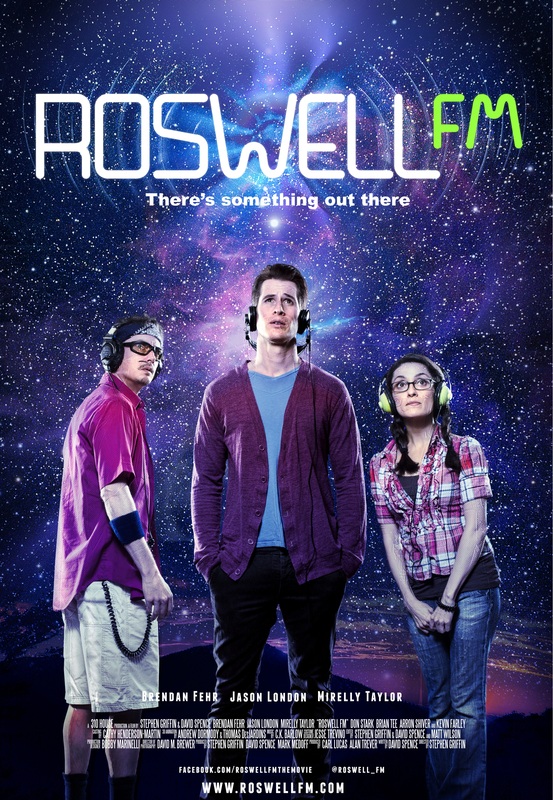 Enjoy today’s spotlight and review of the festival’s opening night film: Roswell FM. Roswell FM, the opening night film of the White Sands Film Festival (which is scheduled to play tomorrow: Wednesday, September 4th at 6:30pm), is an entertainingly well done independent movie filmed in New Mexico and is a story of the normal, abnormal and paranormal that brings out the values of friendship and family while defining those values through equally fun characters and adventures. Written, produced, directed, edited (and more) through the teamwork of filmmakers David Spence and Stephen Griffin, Roswell FM sets its tone from the very beginning and keeps its feel and focus to the end. The city of Roswell, NM, known for the famous UFO crash in the 1940s, serves as the backdrop of the film full of odd and quirky characters such as might be expected to reside in the town of Roswell. Roswell FM is a story of doing the right thing with determination in the midst of doubt. 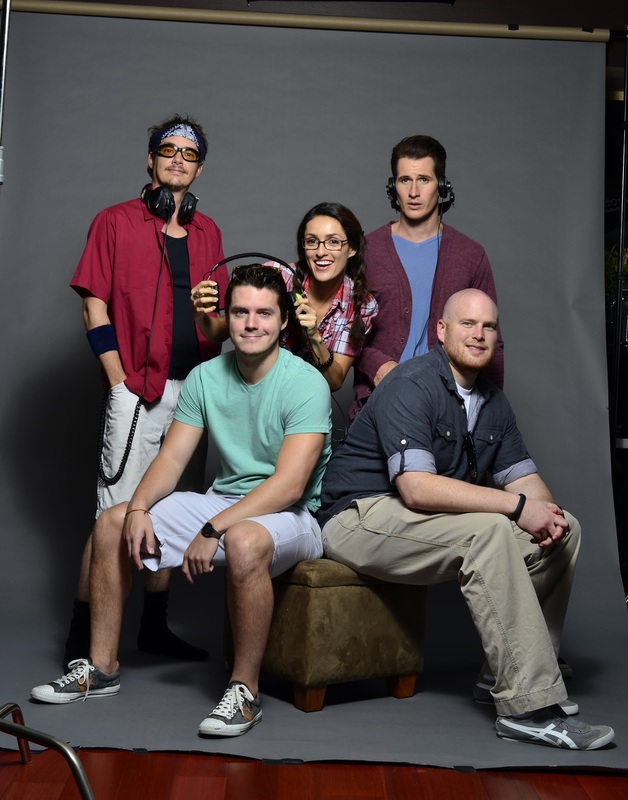 Each of the characters face their own choices in working for the better good and Roswell FM is full of subtle moments and mannerisms that evoke laughter, smiles and empathy as we join along for the ride. Inviting us into their world and finding challenges full of humanity and humor, thus containing something for all to enjoy. Its setting combines imagination and mysterious superstition with passion and perseverance laced with themes of selfless sacrifice, friendship, love and family (including a strange uncle). Enjoy the film, its story, its characters and how the clever combination makes you feel. While Roswell may not be your destination of choice, tune in to Roswell FM this Wednesday at the White Sands International Film Festival and look for it in hopeful future film festivals near you. Recently, I had the opportunity to sit and discuss Roswell FM with its screenplay writer David Spence. Enjoy some of the excerpts of my Q&A interview with him about his film, his passion for filmmaking and how Roswell FM came to be. Terrence: I actually just finished watching Roswell FM and really enjoyed it. What would you say served as the inspiration for your movie? And have you been writing films for a while? David: Well, I went to school here at New Mexico State University and then decided to continue studying film and screenwriting at Florida State. 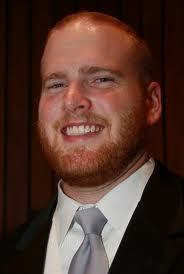 Writing films is what I do and I love to write stories about friends and wanting to do good things for one another. I used to listen to paranormal programs on the radio (I find them entertaining) and thought it would be cool if there really was a station dedicated to the paranormal. Combining that with my love of quirky characters (I’m a big Woody Allen fan), reflecting true people and themes of friendship and sacrifice, I wrote Roswell FM. TFF: One of the things that I loved about it was the choice of the cast members for the characters. Mirelly Taylor, Brendan Fehr, Don Stark, Brian Tee, etc. All of them were fantastic to me in bringing out the true sense of their characters and making them real. I was bought into the individual differences of each of them and even found myself thinking that I knew them all. How did you find such great talent for the roles? DS: We had this really amazing casting director who brought in a bunch of great actors and actresses for all of the roles and sort of really got to the core of what we were looking for. We saw so many talented actors and actresses that auditioned for the parts and, in the end, each of the cast members really won the role. TFF: I laughed during so many different parts of the film and several of the characters made me laugh as I watched their quirky behaviors and beliefs play out on-screen. Doug was one of the characters who made me laugh every time he was on-screen. DS: It’s funny, because the actors fit their roles so well. We had to try to cast as many actors from New Mexico as possible for all of the budgetary and economic reasons, but we saw Doug in LA and we didn’t see anyone quite like him who fit that role so well. New Mexico has great actors to work with, but he was perfect. TFF: Now, where was it filmed? I am assuming that with the title, that it was all filmed in Roswell, but then there were a few locations that I recognized that are not in Roswell. DS: Entirely in New Mexico, but not entirely in Roswell. It’s true. And it is ironic because Brendan Fehr, the lead, also starred in the TV show Roswell which was filmed nowhere near Roswell at all and now he is in our film in Roswell. We also filmed in Artesia and Mesilla and a few other locations. I hope that people who watch it and know the locations don’t allow that to take them out of the film momentarily. Some locations just work better than others for the look that a film is trying to accomplish. 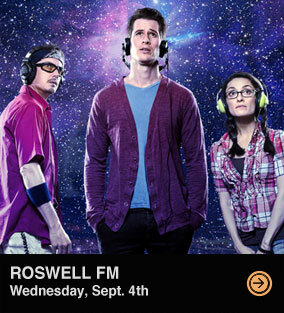 TFF: How long did it take from start to finish to make Roswell FM? DS: From start to finish, it took about two years. Pre-production began in April 2011 and then production started in July 2011. We moved to Roswell and filmed for five weeks. 50 hours of footage later, Post-production began in September and finally wrapped in May of this year. Post-production was the longest step. TFF: What was the biggest challenge that you and the crew faced while filming? DS: Sticking to the schedule. I mean, on the last night of shooting we had to shoot an exterior shot in the desert…and that was the first day in about 300 consecutive dry days that it decided to rain in Roswell. It would rain and then stop and then start and then stop again. That frustrating pattern continued for most of the day and the possibility of losing the shot put us all on edge. But we made it with the help of some innovation, run-n-gun filming and the movie magic of post-production. TFF: So, here’s a random question that I like to ask people: Who’s your favorite superhero? DS: Superman. I grew up watching the Christopher Reeve Superman films and always thought he was the best. He was burdened with trying to be perfect- Morally, ethically, etc. Superman is my favorite. TFF: One of my best friends is definitely in total agreement with you. Some of those themes of doing what is right are very prevalent in Roswell FM. What are some of the things you hope people take away from your film? DS: Well, I hope that people are able to enjoy the film and not feel like 94 minutes of their time has been wasted. My desire is for viewers to simplify it as much as possible, feel good and enjoy the qualities of sweet strange characters, learn from the sacrifices they make for the people they care about and to enjoy it overall. There comes a point in making a film, especially an independent film, where you have to put worrying about people’s opinions on the backburner and focus to finish it with the quality it needs and that the story deserves. The post-production process brought some of the hardest decisions I’ve ever had to make to our editing table. Now that it is done, I really want people to enjoy it. This will be the largest audience that the film has been presented to at once. TFF: The first of many times I hope. What is next for Roswell FM and for you? DS: For the film, well, we hope to get it to as many people as possible. It is in its infancy as a finished film and so its journey is just beginning. In a world where digital media, content streaming and movie services such as OnDemand are flooding the market, it is tougher to receive distribution for a film. I just hope that people find something to enjoy in the hard work we all put into Roswell FM. TFF: I believe that will be the case. DS: As for myself, Stephen Griffin (the director) and I plan to continue our creative partnership and work to create further projects in the near future. We are developing ideas for multiple venues even now. TFF: If there was one final thing you could say to anyone who will be reading this interview and is interested in your film and your story, what would you say? TFF: It wasn’t a waste of my time. Speaking of time, thank YOU for your time in this interview and for the time you and your teams put into Roswell FM. I look forward to seeing it again at the festival. Don’t miss Roswell FM on opening night of the White Sands International Film Festival. Wednesday, September 4th at 6:30pm. Become a fan of Roswell FM on Facebook to learn of future screenings HERE. Thanks for reading! Happy watching. As the official blogger and reviewer of WSIFF, don’t miss a single post of the activities. Visit often for reviews, news, interviews and more In case you are not aware of the WSIFF, or if you’d like to learn more about what is going on (or click the 2013 WSIFF coverage link at the top of the page). 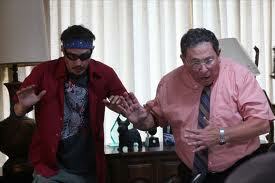 Next #WSIFF: Reviews to Use & Help Choose, pt 5.